Welcome Katrina Low-Beer, PT, DPT!! Katrina is a New Jersey licensed physical therapist. She graduated from Clarkson University in 2012 with a B.S. in Biology and Minor in Chemistry. Katrina received her Doctorate of Physical Therapy from Clarkson University in 2016, and completed internships at two outpatient facilities: a skilled nursing facility and a pediatric burn center. After graduating, Katrina accepted a hospital position with Matheny Medical and Educational Center located in Peapack, NJ. At Matheny, she enjoys treating adults with various developmental disabilities. Katrina came with Matheny to Mane Stream in the fall of 2017 as a side walker and loved the experience! 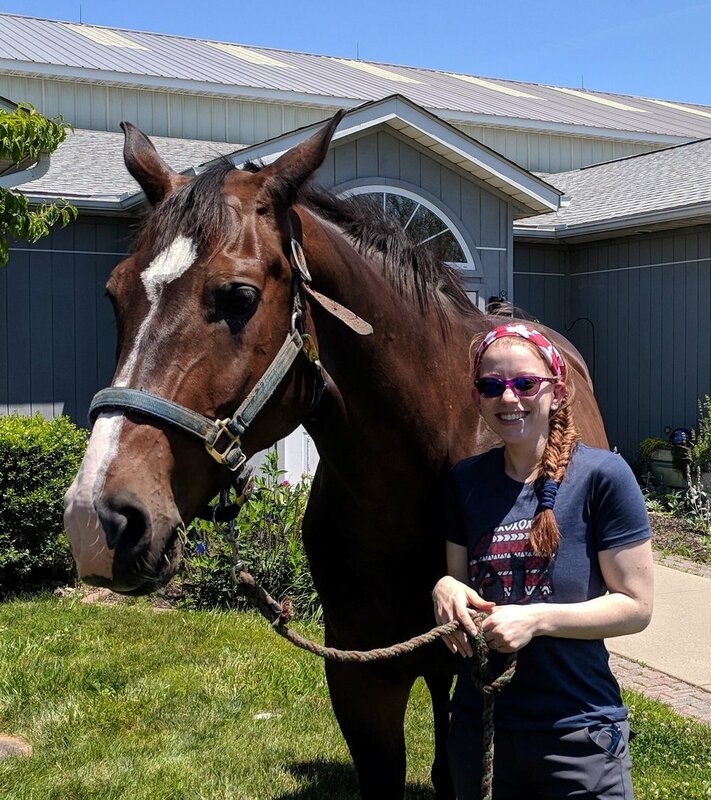 She completed her Level I course through American Hippotherapy Association in 2018 and looks forward to combining this knowledge with her love of physical therapy. Katrina grew up in Kingston, NJ. In her spare time, she enjoys hiking, yoga, and spending time with her husband and three cats, Basil, Theo, and Freya. She also does aerial yoga!! We love your energy Katrina!